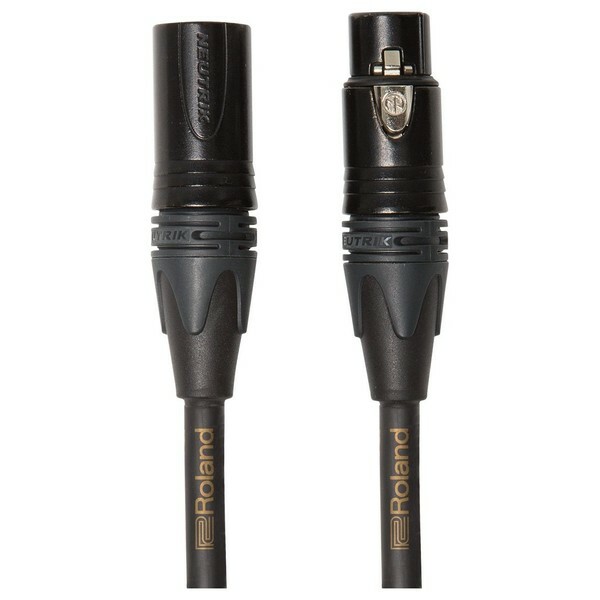 The Roland Gold Series Microphone Cable, 3ft/1m is a high-end microphone cable designed to deliver optimal audio fidelity. The RMC-G3 Gold Series Mic Cable provides the purest signal possible, eliminating contamination or noise interference. It comes equipped with 24K Neutrik gold-plated connectors. This ensures the cleanest possible signal for exceptional audio reproduction. The studio-grade oxygen-free copper core wire captures every nuance of your source audio, with superior sonic clarity you can really hear. The low-capacitance construction delivers a clear, crisp and full-bodied sound from voice to instrument. The cable is also highly durable, making it perfect for constant day-to-day use.